The Cordvision Easy Install Lens Gear brings your still image lenses one step closer to actual cine lenses and thereby makes your life on set easier. The Easy Install Lens Gear is an alternative to our Pro Lens Gear. 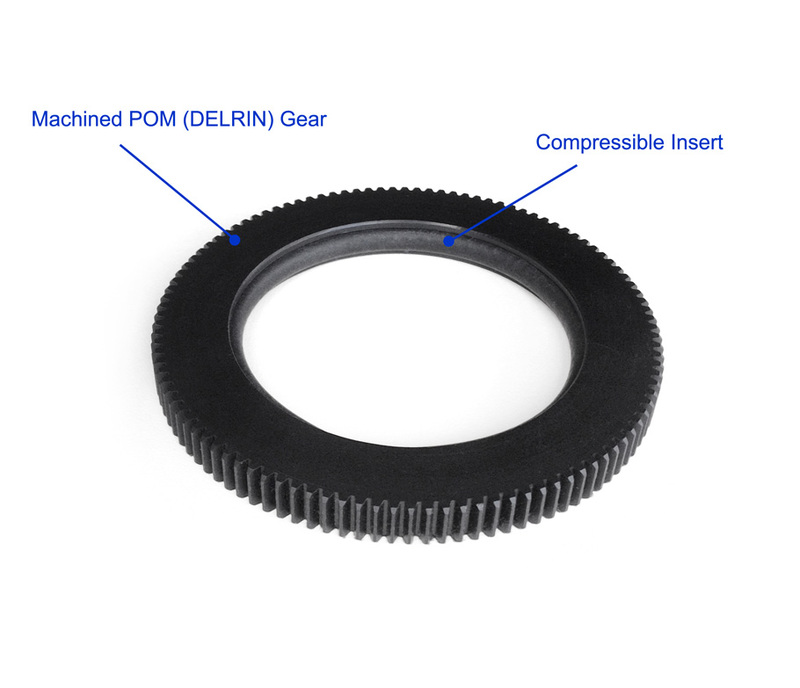 The goal was to design a lens gear that is quick and easy to install, doesn’t require accurate measuring of the lens, while maintaining most of the important features of a true shrink fit gear (Pro Lens Gear). How does it work: The gear ring is machined just like the Pro Lens Gear. Inside the gear ring, we machine a groove that holds a piece of elastic cord. This cord compresses as you slide the lens gear over the focus ring and holds it securely in place. The fit can be pretty tight and you might have to cut the gear if you decide to remove it. 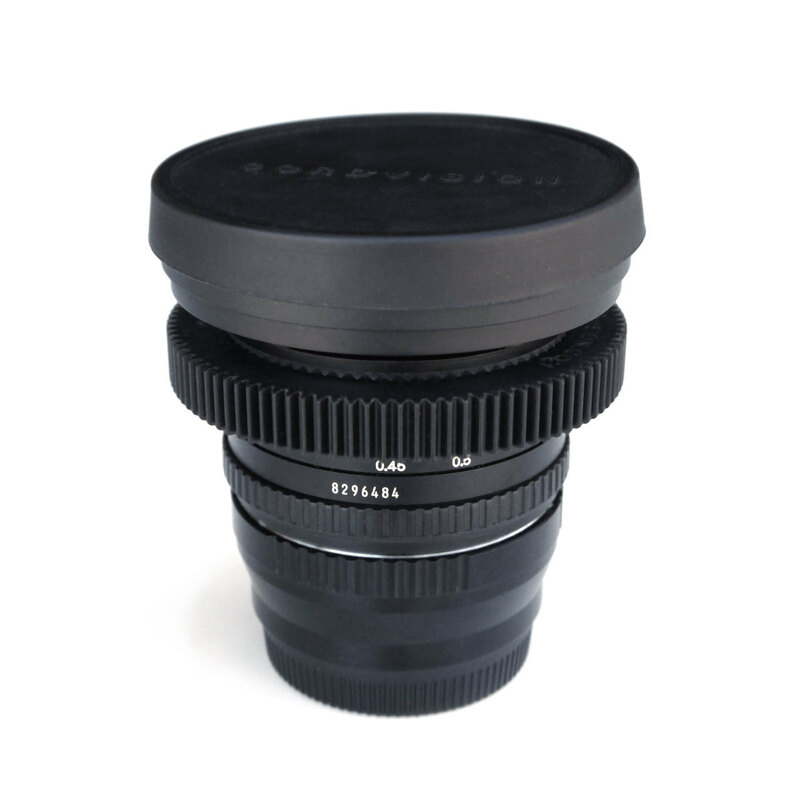 We truly believe that this is the best available alternative in the market if the customer doesn’t want to use a true shrink fit gear like the Pro Lens Gear. Most gears are machined within a week of the order date. -High quality, fully machined. Not low quality 3d printed or injection molded. -Truly seamless 360 degree gear so it won’t get in the way of long focus pulls. -Easy installation, no accurate measurements required. 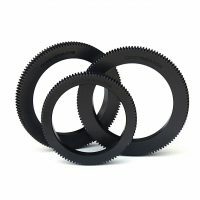 -Truly round gear for smooth operation unlike many of the other available gears. -Good abrasion resistance. Self lubricating properties. 108 teeth or 120 teeth depending on lens focus/zoom ring diameter. Available for lenses with a focus ring diameter of up to 83mm.